So maybe Halloween isn’t your favorite holiday and maybe if Halloween had a scrooge you’d be it. You hate the very idea of trick-or-treating, costumes and scaring people. But you have kids. And well, kids LOVE Halloween! So what’re you going to do to not compromise your spite for the holiday but still be a cool mom or dad in your kid’s eyes? 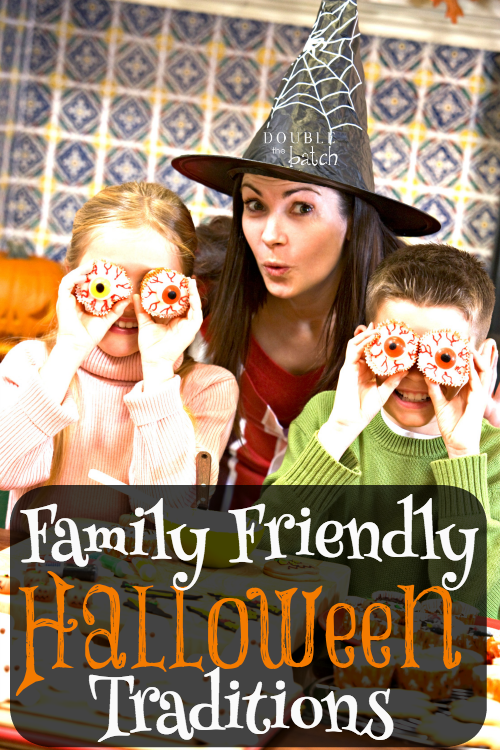 Luckily for you, I’ve come up with a list of family-friendly Halloween traditions that you can do with your kids that are still fun for the both of you but aren’t out there with all the crazies! Local Grocery Stores: You can let your kids go “trick-or-treating” in a well-lit, more controlled environment by taking them around to some of your local stores. If your stores are like the ones in my area, they’ll have their employees dressed up for the holiday and have little baskets of candy to pass out to kids. Retirement Home: This one is a win-win! The sweet old people in retirement homes especially love visitors on holidays and what better than for your kids to bring something of their own to pass out in an “opposite of trick-or-treating” kind of way that leaves them feeling charitable and happy inside? Pediatric Ward: This is another great way to get your kids to turn outward on a holiday that can easily be all about one’s self. Let your kids make some fun Halloween cards to take to the children who are in the pediatric ward and can’t go trick-or-treating themselves. If you are trying to replace Halloween all together you can play some games with your kids that are more “Harvest” minded like Apple bobbing where they have to pull apples out of a tub of water with only their mouth OR pumpkin bowling, where you use toilet paper as the pins and a pumpkin as the bowling ball. If you don’t really care if it’s Halloween related, there are a billion different Halloween games (like mummy wrapping or doughnut on a string eating contest) you can find on pinterest OR I’ve listed a few of my favorites in my post on Halloween Party Ideas. Make it a tradition to take your kids to a pumpkin patch every year to pick out their very own pumpkins to carve or decorate later. There are also several hay mazes and farm places you can go to that do their own kid-friendly events every year. 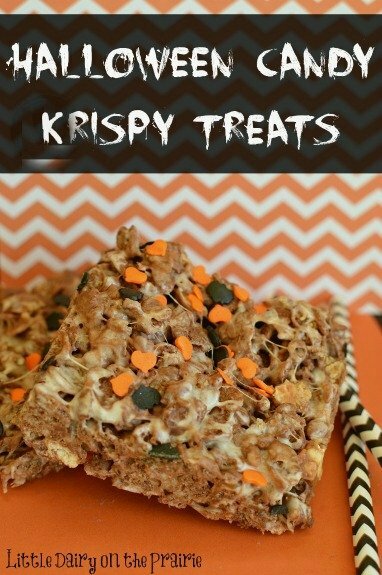 This one is especially fun for the kids because they get to doorbell ditch a plate of goodies at someone’s house. Here’s what you do: Make a plate of homemade Halloween treats with your kids, attach a note that says something like “You’ve been BOOED!” and then tells them to do the same to their neighbors (I made my own printables for this if you want to print them out for yourself and use them), and then have your kids doorbell ditch it at whosever house they choose. Just like you would for Christmas, let your kids make some fun Halloween or Fall Decorations that can go on the inside and outside of your home. 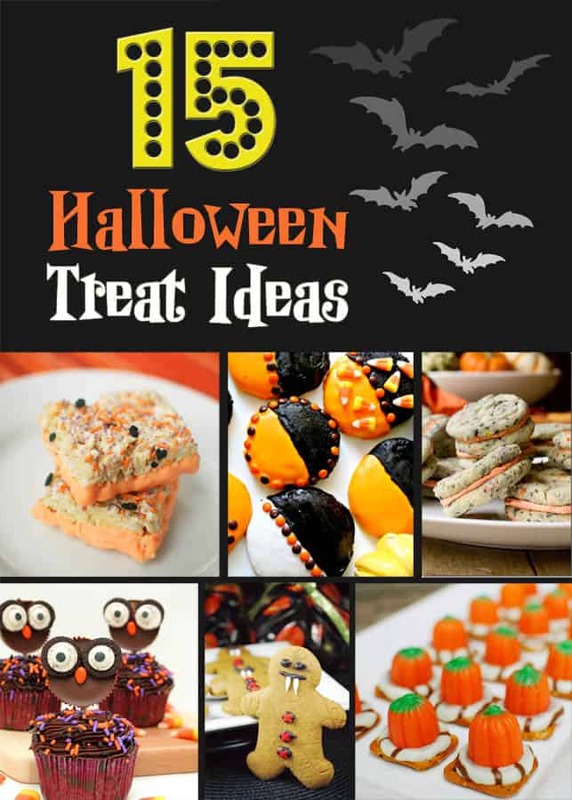 There’s some really cute ideas compiled together on my last post Halloween Party Ideas. Each year have your kids come up with their own written Halloween story that they get to share with the family under candle light or even around a camp fire (if the weather permits) while you roast s’mores or eat goodies. You can even have certain themes for their stories that they draw out of a bowl each year or they can just share a spooky story of there own. It might even be fun to have little awards to hand out to them at the end like “Gave Me Chills Award” “Most Dramatic Award” or “Most Spooky Award”. Every year, the family I nanny for comes up with a theme that the whole family has to tie their costumes into. This doesn’t have to be just for little kids. If you have a mix of older and younger kids, you can pick a theme that will work for both of them. In their family, even their 17 year old gets really into it and helps pick out the costumes for the smaller kids. Last year they did Farm themed with the oldest being the farmer and then younger kids all dressed up as farm animals. What other fun Halloween traditions do you do with YOUR family?